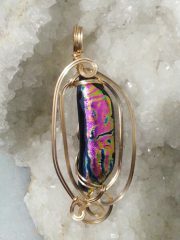 I was surprised when I saw this diamond shaped blister pearl with hues of lavender, pink, golden brown and even some bluish color. If you use your imagination, you can see a scene in it-a group of people, a nativity, angels ascending to heaven? 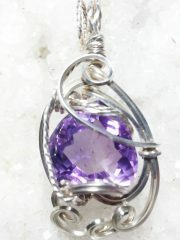 I designed the pendant using the Traditional style of wire wrapping but using 14 Karat Gold-filled and Argentium Sterling Silver wire. 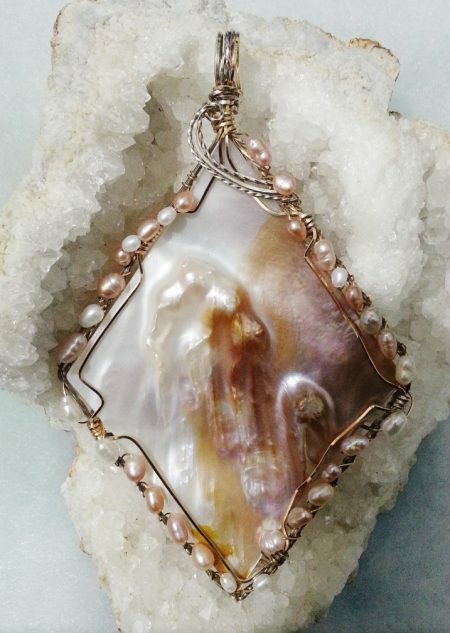 I surrounded the pearl on the outside with white, lavender and pink small baroque freshwater pearls to form a frame as it were. 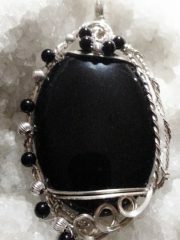 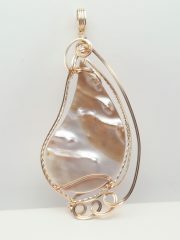 The entire pendant is 4″ long and 2 1/2″ wide. 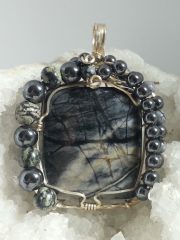 If you are looking for a statement piece, this is it and it is, as all my pieces are, One of a Kind.